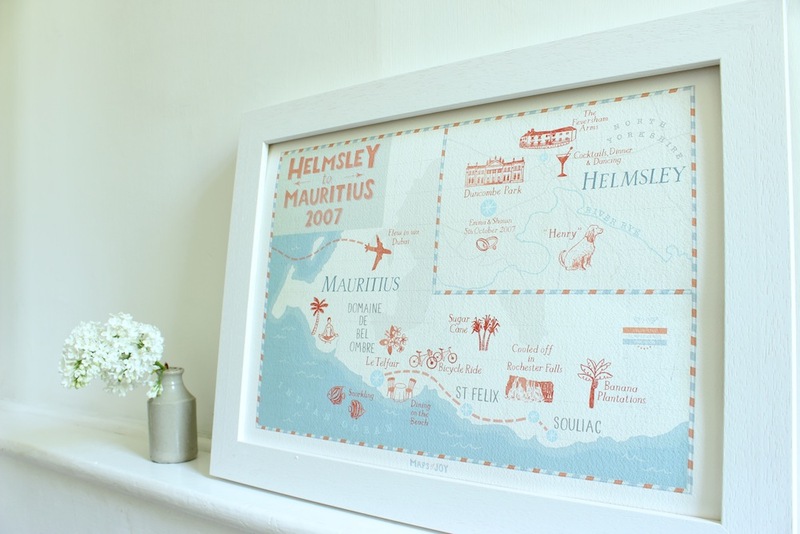 For their wedding anniversary, Emma & Shawn asked me to create a map that recorded both their wedding in Helmsley, Yorkshire and their honeymoon in Mauritius, two beautiful maps in one! Here’s what the happy couple said about the experience of creating their unique Map of Joy. What inspired your Map of Joy? A special anniversary called for a special gift. 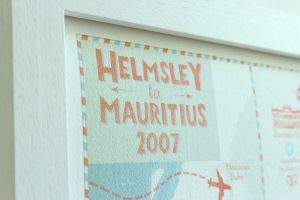 We wanted to treat ourselves to a piece of artwork and a map that would record the memories of our wedding and our honeymoon felt absolutely perfect. What made your gift so special? Knowing it was completely ours. Adding each detail and icon that was so personal and unique to our own journey. Like adding our dog Henry who was a wonderful wedding gift. It really sparked memories and stories of a very special time in our lives. What do your friends and family think of it? Have you had any comments? Lots! They all really love it and it brings back lots of memories for everyone of our special day. We’ve had a lot of “Oh do you remember when…” moments. What was your favourite part of creating your Map of Joy? 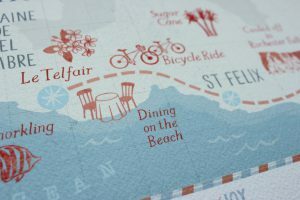 Deciding what to add to the map – it was so lovely to reminisce about all those little details, those special moments to include that took us right back to our wedding day and honeymoon. It was amazing what little things we remembered. Joy helped us decide what would work best and was really helpful in advising us and supporting our ideas. She made us feel anything was possible! 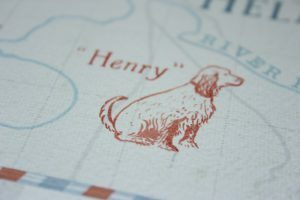 What would you say to someone considering ordering a Map of Joy? If you want a beautiful, tactile piece of artwork that will be beloved by you and your family now and forever, Joy is the illustrator to trust with your memories. Ask Me How I Can Map Your Wedding Memories!